For years I have sensed a call for a special place to pray about God’s plans and purposes in these days of the “former and latter rain together” outpouring. I thought the place would be the Pickard farm. But it never came together. Then, I began to sense a yearning toward Branson. I heard of the prophecy Corrie Ten Boom gave concerning what God would do there in the last days. In February at Brother Kenneth Hagin’s Winter Bible Seminar in Tulsa, during a powerful Holy Ghost controlled meeting, I was out under the power on the floor for a long time. God spoke to me plainly about this call. The place was to be near Branson. He said angels were holding the land. He said there was to be a Prayer Mountain. A place where people could come for individual prayer as they do in Korea. A secluded place where weary laborers could come for rest and refreshing. But primarily a place where seasoned prayers would lead in Holy Spirit guided prayers concerning the work of God in the last days. There on the floor I saw the interior of a simple log cabin. An iron bed covered with an old quilt was inside. A rag rug lay on the wooden floor. There would be log prayer cabins where people can pray individually. I don’t have space to tell the miracle story of how the property was found and largely paid for before we scarcely made it known. Suffice it to say, over 200 acres of virgin mountain timber sloping down to the shores of Bull Shoals Lake just 18 miles from Branson is ours for the Lord’s work! He did it! And it has a canyon fed by two Ozarks waterfalls! Its official name is “Prayer Mountain in the Ozarks.” A game preserve adjoins the land. Deer and wild turkeys abound. We will keep the natural beauty of the place and all structures will be built and furnished in keeping with the Ozarks around the turn of the Century. God has touched this! Two days before he departed for heaven, Philip Halverson telephoned me and talked about 1 and 1/2 hours. He said, “You have no idea how important it is to the Holy Ghost that you fulfill your ministry. The Spirit has filled my prayers with this for months. 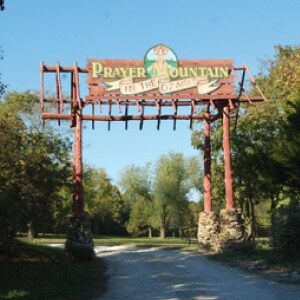 Never forget that your number one call is to help the prayers.” And so this God-touched project, Prayer Mountain in the Ozarks, is now a reality. Advanced Reservations are Required for visits to the Prayer Cabins. The Pickard Place, cabin one, has had the opportunity to house missionaries and many other men and women of God! Such awesome testimonies shared by all who have come to stay. This cabin features every luxury to ensure your comfort. The Pickard Place has a full kitchen equipped with all appliances, cookware, dishes, and bath linens needed. It has 3 bedrooms, each with a full bath, and a great room with a large fireplace. The Pickard Place sleeps six comfortably. 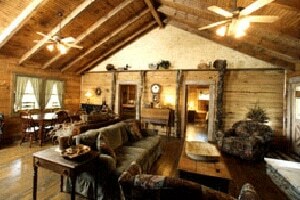 The Halverson House, cabin two, affords every luxury just as cabin one, yet in a more intimate setting. Completed in July, 1998, The Halverson House sleeps four comfortably, with full bath, complete kitchen with appliances, cookware, and dishes, and a large living area with a spiral staircase leading to the bedroom loft area. 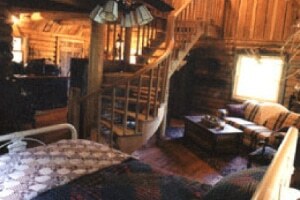 The cabin has two queen beds and was designed by Jeff Martinique, a well known architect. 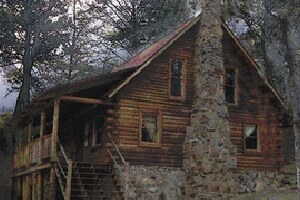 Uncle Joe’s Cabin is the newest addition to Prayer Mountain, and includes all of the modern amenities found in the other cabins, as well as an air of openess while being indoors. Perfect for extended times of prayer and renewal, this cabin is quite popular among our visitors. It has one queen bed on the lower level and two twin beds in the upper loft area. Uncle Joe’s Cabin sleeps four comfortably.